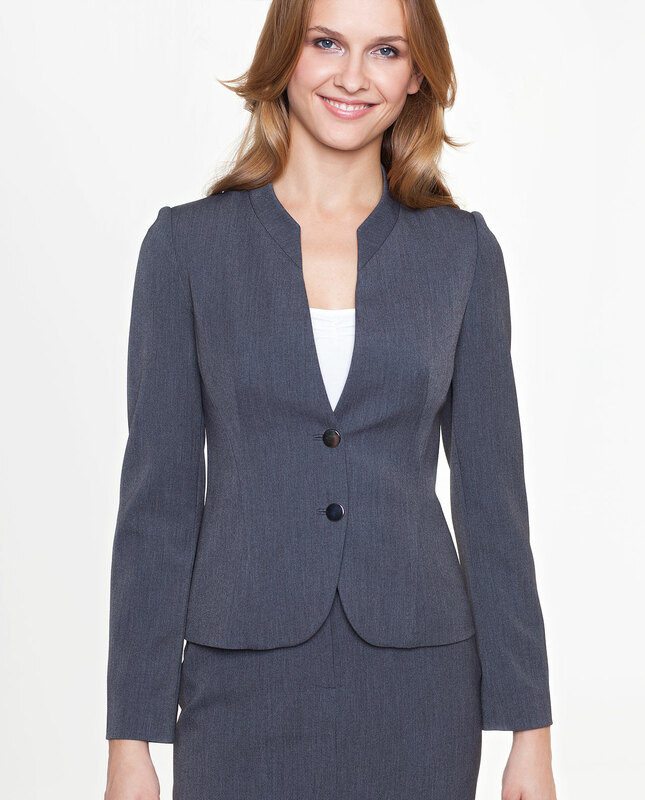 An elegant grey box jacket. Manufactured from thick woollen fabric, it will prove perfect for frosty days. The jacket has small front pockets. Darker elements and silver topstitching accentuate its smart look and highlight its expressive character.